Red Tiger Gaming has brought another slot based on ancient Chinese treasure. The slot game has 5 reels and 20 paylines. 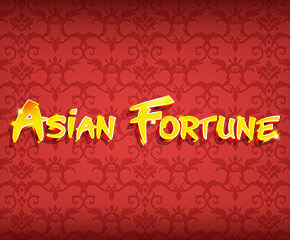 Asian Fortune slots impresses the players by its looks. It features big hills in the background while the reels are loaded with a blend of cards and other Chinese items. The game can be played on all devices that range from 20p to £500 per spin. You will witness the ancient dragon temple as soon as you will climb the highest mountain. Dragon is the most lucrative creature on the reels. It has the capacity of awarding you big prizes. It features both high and low-value symbols. The high-value symbols include animals elephant, frog, turtle while the playing cards are the low-value symbols. 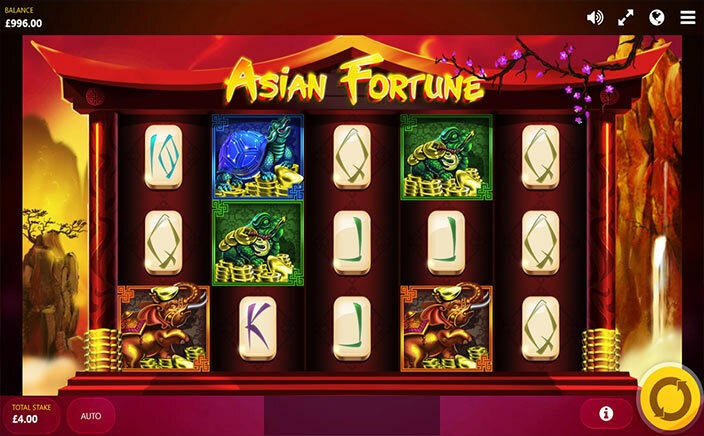 If we look at the gameplay of the Asian Fortune slots, it is not so complex and difficult to play. You have to stack three low paying symbols on the reels to get the least payout. If you manage to arrange the high paying symbols then the range is reduced to two. The high paying symbols will create more winning combination once they land on reels. They will transform into gold. The high paying symbols earns 888 coins for five similar symbols on the reels while the king of the game dragon gets 1111 coins for five coins on the reels. If you manage to get dragon on all the reels you will be awarded 8888 coins. The dragon is the scatter as well as the wild in Asian Fortune. Three scatters together will award free spins. You can reactivate the respins with every three scatters on the reels. You will be awarded 10 respins every time you get respin feature. The ancient Chinese game also has a Chinese treasure. This treasure has free spins and multiplier in it. The 2x multiplier is activated once you stack 3 wild symbols on the reels. The Asian Fortune is a game with high definition graphics. Symbols and characters have so much to award to all the players. The extra wild scatters are the main game-changers that turn the tables after getting the free spins and multipliers.